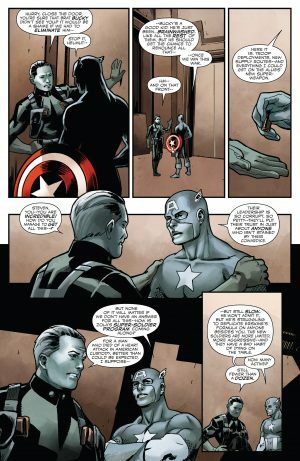 Marvel Now 2017 & Secret Empire Spoilers: With Captain America Steve Rogers #12 More Know THE Secret & A New Hydra Head Emerges! 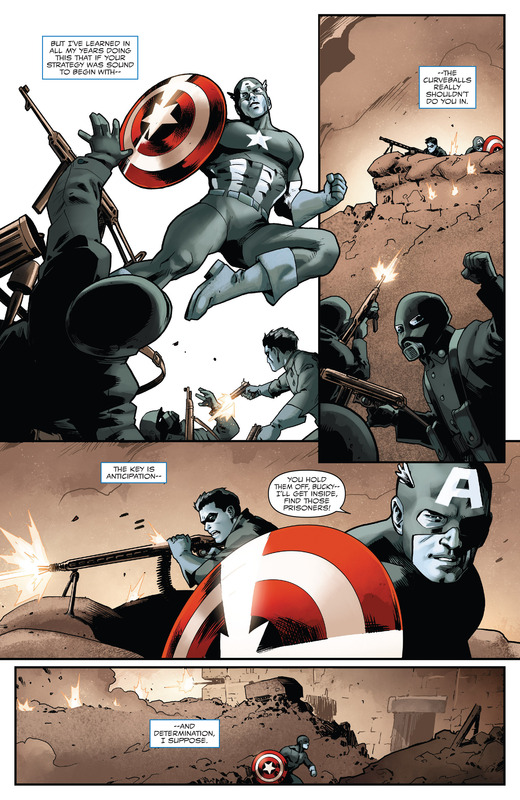 Marvel Now 2017 and Secret Empire Spoilers for Steve Rogers: Captain America #12 follow. 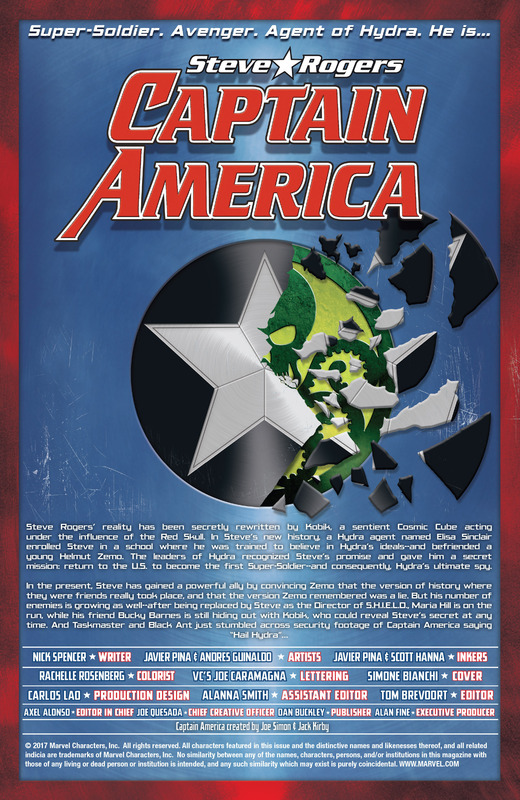 We open with the catch-up page so you have all the info you need heading into the issue. 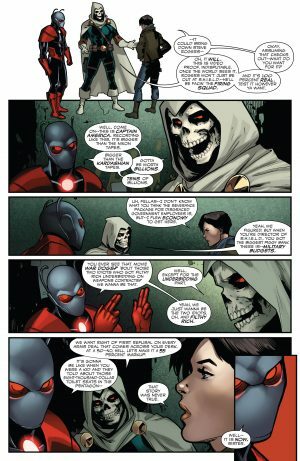 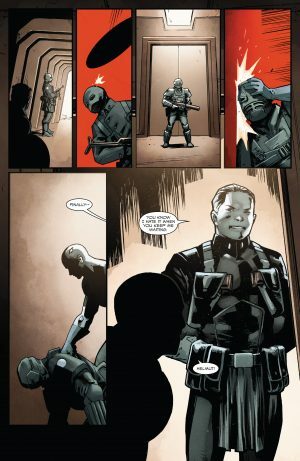 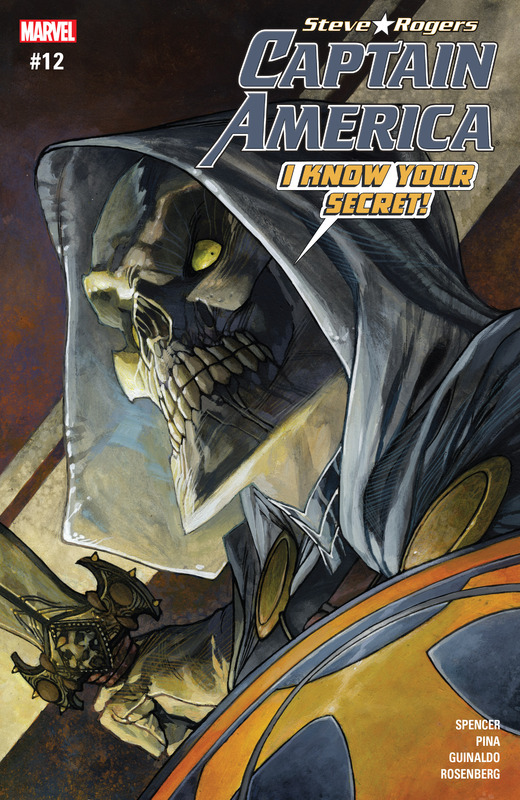 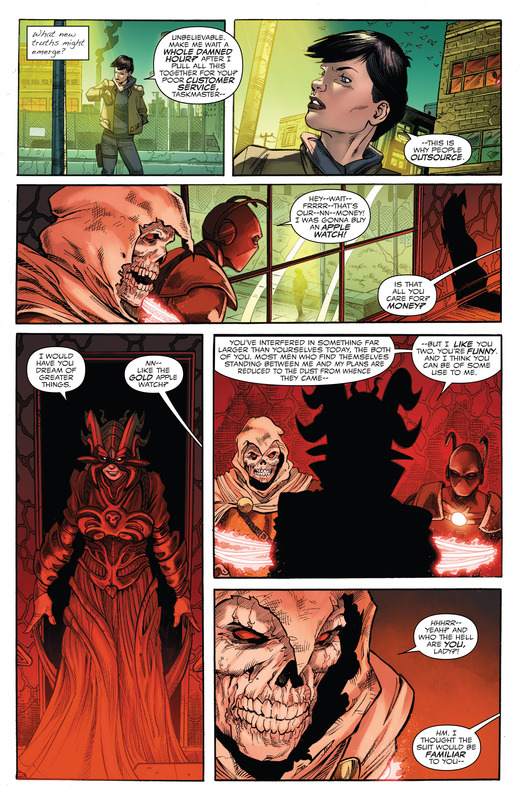 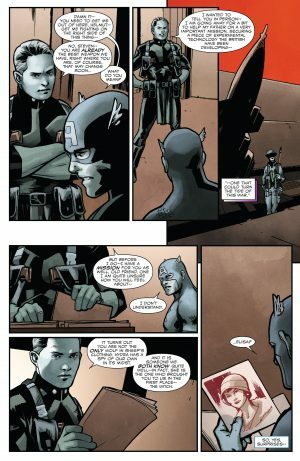 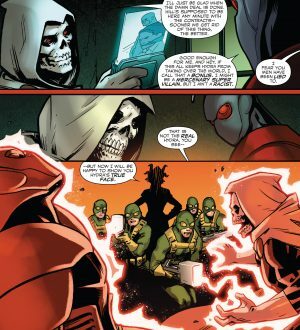 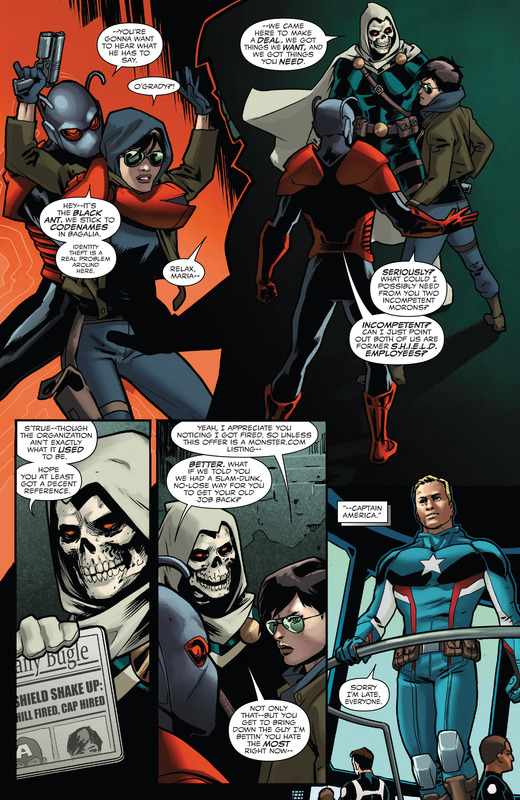 Taskmaster and Black Ant know Captain America Steve Roger’s Hail Hydra secret. They want to sell their intel to former SHIELD head Maria Hill. 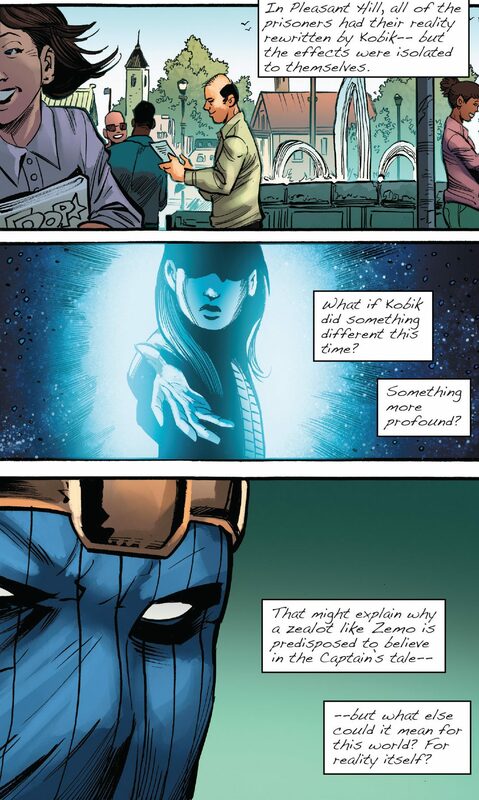 …is intrigued despite their price. We also get a look at Captain America Steve Rogers past and how he kept his modified new Hydra roots hidden. 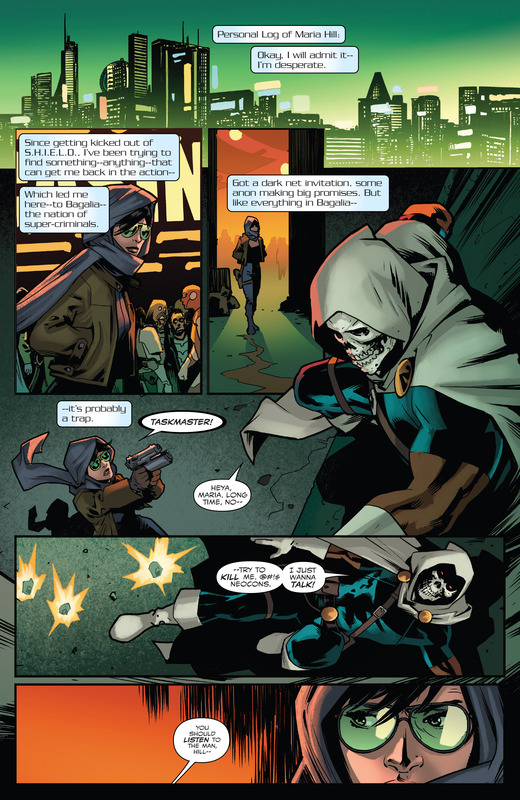 He found opportunities to go on solo tasks to allow him to meet, in this case, Baron Zemo. Back in the present, Taskmaster and Black Ant are waiting Maria Hill and some cash, but are kidnapped by Hydra who don’t want Captain America’s secret spoiled yet. …Elisa Sinclair a Hydra agent who has been part of Cap’s new past. Professor Selvig, who Captain America wants to work with Zemo in the present, starts to believe that Kobik, a sentient cosmic cube hanging with the Thunderbolts, may have changed Captain America’s past. Taskmaster and Black Ant look on as Maria Hill waits for to give them cash, but they’re helpless and trapped by Hydra. 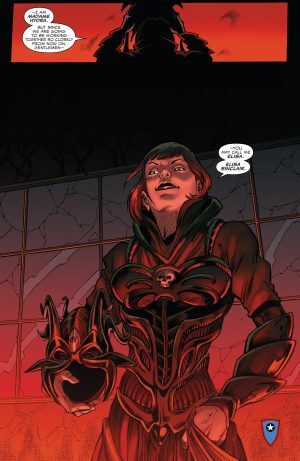 A new Madame Hydra reveals herself and its… Elisa Sinclair? 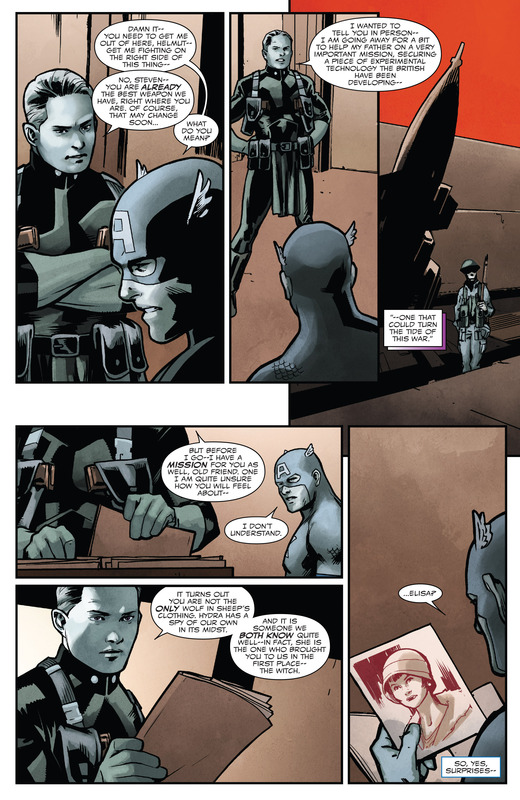 Has she taken the super soldier serum or what else could explain that she still looks young despite being young in the 1920’s too almost 100 years ago? 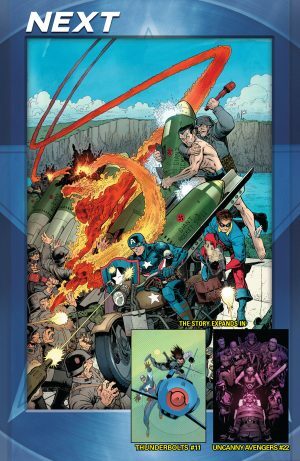 Plus we get a look to next issue and other Secret Empire set-up tie-ins.